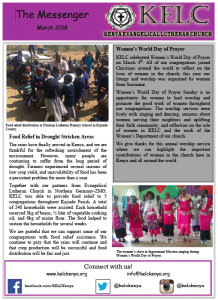 The KELC communications department helps to develop and distribute information about the work of the church. 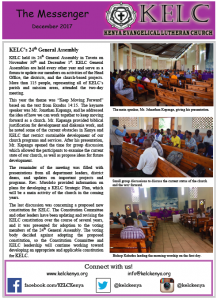 Through social media updates, news releases, newsletters, and this website, the communications department is working to promote KELC and increase awareness of our Christian mission and our church outreach projects. 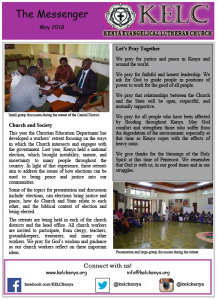 Please follow us on social media by following the links below. 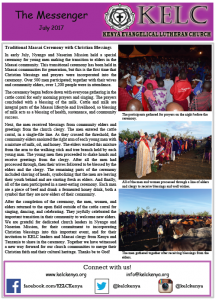 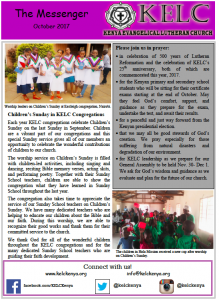 The Messenger is KELC’s monthly newsletter. 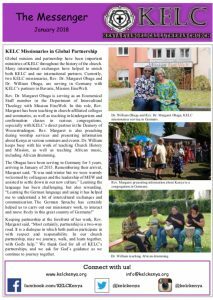 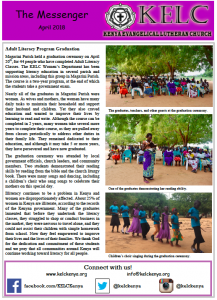 The Messenger helps us to share the activities, stories, news, and celebrations of KELC. 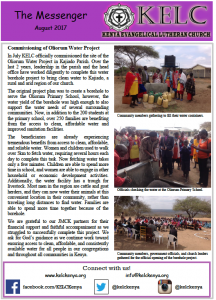 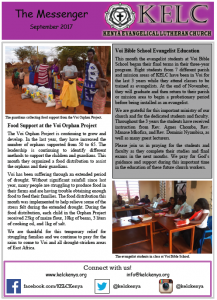 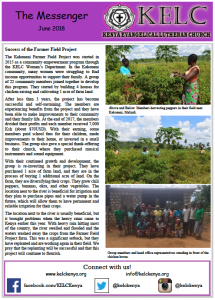 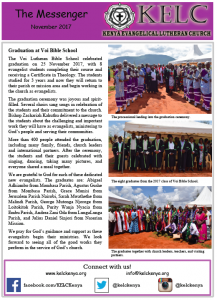 Please click on the picture below to read the newsletter.